Recipe by Siba Mtongana from her cooking show Siba’s Table. I have not changed much the recipe. I only added sour cream for a silky texture. Combine the melted butter and biscuits until the crumbs are moistened. Pour the mixture into a ring mold lined with parchment paper and press down the crust with the back of a spoon. Set aside. Whisk the cream cheese in a large bowl to give it a smooth texture. Siba’s tip: “This will prevent lumps from forming and make it easier to combine with the other ingredients”. Add the sour cream and whisk. Add the condensed milk and whisk again. Pour in the juice of the limes and the zest of one lime. Stir together. 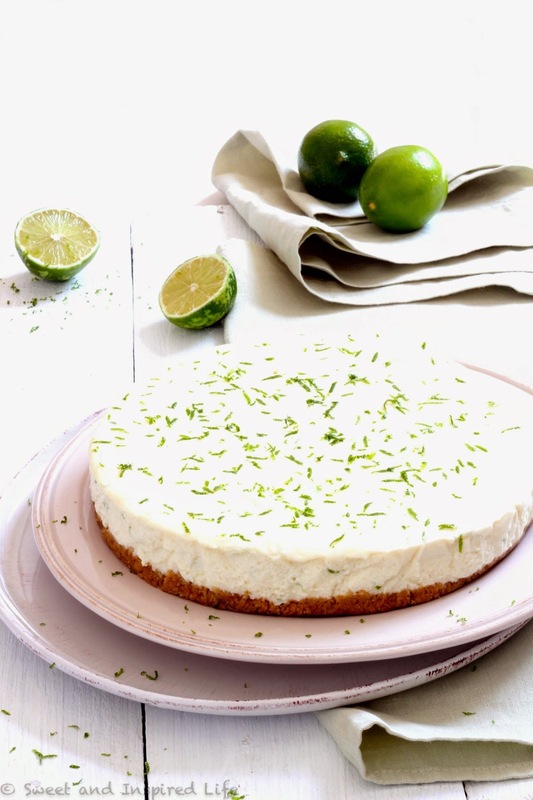 Reserve the zest of the other lime. Whip the cream until soft peak. Combine gently with the batter. Pour the batter into the prepared crust. Level the filling. Place in the fridge overnight. 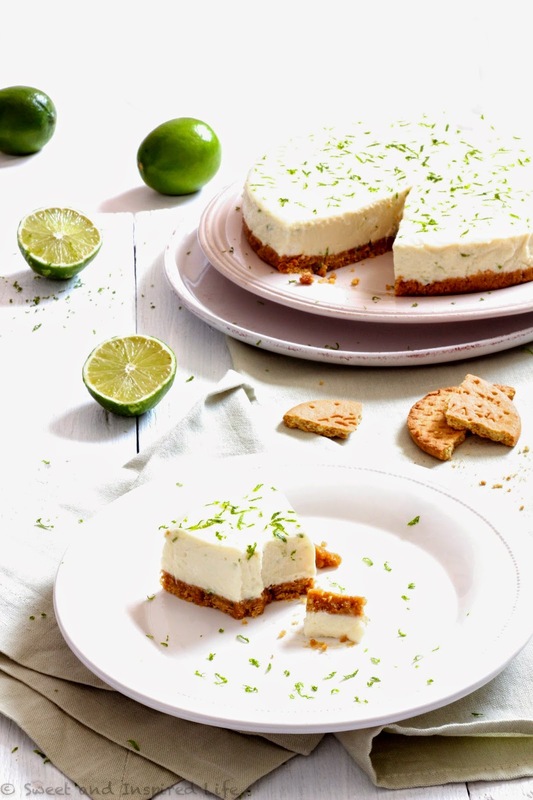 Before serving spread the remaining lime zest over the cheesecake. Et voilà, ready to dig in! Shame, and I even didn't really know about this show... No excuse not to follow now ! Yep, no excuse. Season 2 should come out soon. Looking forward as I already saw several times season 1!